Golf trolley clutch is my wheel clutch faulty Easy fixed 5 min job . A golf trolley clutch is used in electric golf trolleys that have motors to drive them forward. The motor in turn drives the shaft or axle via a gearbox. This in turn drives the wheels but in order to drive the wheels the wheels need clutches. The reason for the golf trolley clutch on the wheel is if the golf trolley wheel was fixed in place it would not be able to turn at all with out skidding the wheels. Sometimes there can be a malfunction which causes a loss of drive to the wheels. Checking this is fairly easy and we have a few tests for checking the golf trolley clutch to find out if there is a fault in that particular component or if the drive failure comes from any other spare parts. Now imagine you are on a wide fairway on the golf course and it is wide enough to turn the golf trolley around in one large circle. Now think of the wheels covered in paint. One golf trolley wheel, say the outside one, covered in purple paint, and the inside golf trolley wheel covered in blue paint. What would you notice after you had competed the circle on the fairway. You would see two tracks of purple and blue paint. Now imagine these two lines. Blue line would be an inner circle and the purple line an outer circle. 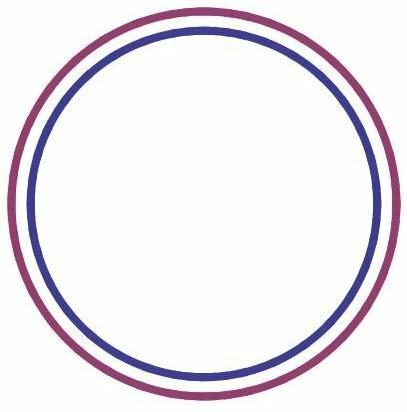 If you could measure these two circles the inner one (blue) has a much smaller distance to cover than the outer circle (purple). 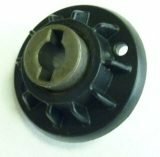 The golf trolley wheel clutch allows the wheel on either side of the axle to rotate or even free wheel on the axle in the opposite direction to the power forward. This allows the inner wheel to rotate slower. i.e. as above in a smaller circle (circumference). A clutch can be faulty when it either will not rotate freely in the reverse direction of drive power. Hence most of all when the locking device inside the clutch does not lock and rotates freely in both directions – very common. Over time dirt and water ingress can cause the spring locking mechanism to jam. This means the clutch will not lock for the forward drive power direction. The wheel spins in both directions freely (freewheels). Sometimes over time it can be from wear and tear, just as in any part or component like motor car clutches need replaced. How to test a golf trolley wheel clutch. Knowing from the above article it becomes easier to understand why a golf trolley clutch can malfunction. The tests on the support page will make it clear and easy to grasp on how to test and fix. Original video help on fitting a golf trolley wheel clutch from 2008 shown below. Fitting instructions can be found on the support page of the website along with testing and diagnosing any pulling to one side or problems with lack of drive to the wheels from the axle. Sent you email March 5th to acknowledge receipt of 2 clutches but to inform you one was damaged in transit and arrived with broken lug and to request course of action now required. 09/03 2018 and still no reply. 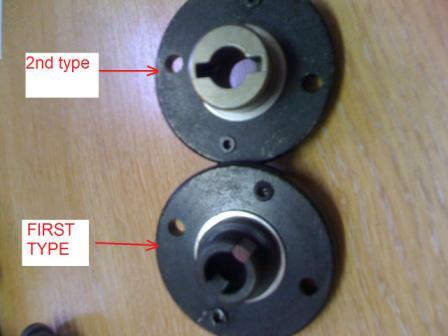 Sorry to inform you that you have made a mistake in whom you ordered the wheel clutches from, it was not from us. I have checked your name for the last 12 months and there are no orders from you at all in our system. We sell genuine parts for golf trolleys and unfortunately there are a few sellers out there selling inferior golf trolley clutch parts. I found out through others these are defective and weak and are not genuine.